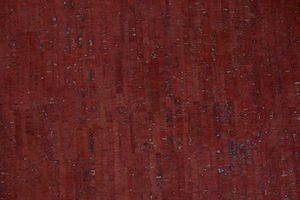 Eversewn VL15D1 Red Cork Fabric 1 Yard Roll x 27"
Cork fabric with PU Poly Urethane backing. 1yd x 27" (width of fabric). Environmentally and ecologically friendly. Similar handle to leather - is waterproof and stain resistant. Note: When making strips, for better results, cut the cork fabric in the opposite direction of the cork lines. Also known as cork leather or cork skin, this high quality cork fabric is a natural product produced from thin sheets of natural cork obtained directly from the bark of the cork oak tree. These thin cork sheets are adhered to a fabric support backing.